When I was at university, like a lot of guys, I was a regular frequenter of the uni gym. I did all the usual free and fixed weight exercises (squats, barbell curl, dumbbell curls, rows etc). I used to love the gym culture, pushing each other to do “one more” and the feeling of the pump. Getting bulked up was never a priority, but I’ve always aspired to looking cut and toned. It won’t come as a shock that at 21, most guys think with a tool that’s not their brain, so it was, of course, all about looking good and showing off. I used to think that a visible six-pack meant that your abs were strong, I knew very little about the concept of core strength and its importance in everything we do, exercise and day to day life. After leaving university, I got into team sports and became an avid runner and swimmer (pool and open water races). There is something about training outside that can’t be replaced by any gym, no matter where in the world you are. The idea of running 10km on a treadmill is completely unpalatable to me now. I was lucky in my career to date to always have a flexible schedule, allowing me to train during the day. Dave and I met when he started at the company where I worked. He was a scrawny, slightly nerdy looking Pom, with a Yorkshire accent that could peel paint off the walls (little has changed there). After a while I noticed that he started doing some outdoor exercises, but I never really paid attention to it, I was usually at a team boot camp doing some kind of lift or kettle bell swing (usually incorrectly), or doing sprints / cross-training. 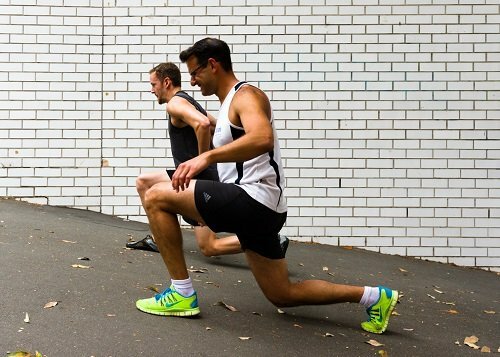 As it happens, Dave introduced me to someone who helped me transition to front foot or “pose” running, which changed everything about my running style … but that’s a story for another post. It was during one of these sessions that I joined Dave to see what he was doing and he told about calisthenics. I wasn’t immediately taken with it, seemed just a bunch of pull-ups, push-ups, rows etc, nothing particularly exciting. However, I said I’d join next time to properly see for myself. I am not a small guy (184 cm and haven’t been below 90kg for many years) and have always considered myself to be strong. Let me tell you, nothing brings you back to earth faster than realising that you can barely do 5 pull-ups before your strength runs out. So I resolved to incorporate calisthenics into my weekly schedule and soon it became the main component of my training. As someone that usually works better with motivation, having Dave around helped a great deal. He was getting more and more involved in the theory of calisthenics, absorbing all the literature, methods and eventually told me about Coach Wade and Convict Conditioning (he hasn’t shut up about it since). I was always happy to listen, take mental notes and try new things. The feeling of achievement with calisthenics is very different compared to the gym. With the latter, you might squeeze out another rep or maybe you’ll add another 10 kgs for your last bench press set. With calisthenics, I felt that you simply couldn’t cheat your way to performing, as it was your own body weight. So you either can lift yourself or you cannot, there is no hiding. And every time you think you’ve progressed and feel a sense of achievement, there is yet another way to make that particular exercise harder. 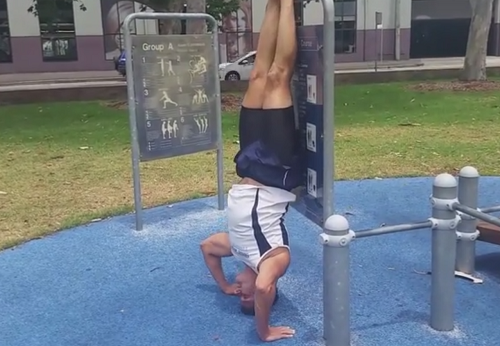 No amount of curls or presses ever gave me the feeling of satisfaction of doing my first handstand push-up, especially considering that less than 12 months prior, when I tried to do a headstand against the wall, I collapsed in a heap. Dave and some of our training buddies were there the day I finally got my first muscle-up, after 18 months of trying … and then managed another dozen throughout the rest of the session. It felt great… and then it was business as usual. That’s just what calisthenics is like, there is no grandstanding. I can’t say it was always progress, some days you just aren’t feeling it, like with anything. No one is jealous of anyone else; no one cares that some other guy lifted more or has nicer looking lats. What’s more, no one makes you feel inferior if you’ve regressed or can’t complete a set of something, quite the opposite. Dave or someone else would check your form, give advice and usually tell you not to worry, that you’ll crack it next time. Everyone has their own goals and we always support and encourage each other. In the last few years I’ve learnt the importance of strengthening my core, slow and measured movement, breathing (it’s amazing how important that is and how many people don’t do it when exercising), stretching, foam rolling, engaging certain muscles before and lots more … thanks to Dave’s advice and feedback (whether I wanted it or not). The human body is an amazing thing and calisthenics gives it an outlet to perform. If you’re still sceptical, go to YouTube and search for calisthenics highlights. I consider it a vital part of my training and can only hope to be like some of these 80 year olds I see in these videos, who, quite frankly, put us all to shame. I am grateful to Dave for getting me into it and persevering to ensure I got the most out of it. 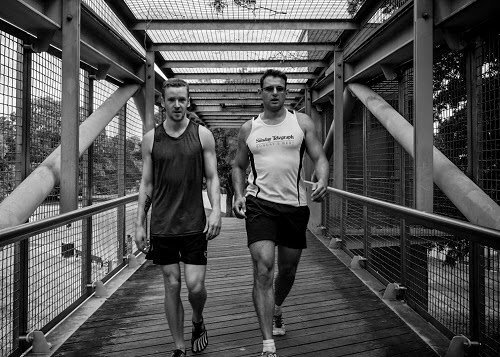 If you’d like to train with Dave then check out the Personal Training page. What an incredible article to read. With Calisthenics, the world is your playground and workout area and the possibilities are endless!! Very true mate. Don’t think I can anywhere these days without considering the calisthenics possibilities in my head! Thanks Yury for the post. This is a great article from a great student.